If you are edentulous (missing all the teeth) or have dentures and want to replace your lost teeth, then All-on-6 and All-on-8 dental implants could be a viable solution. 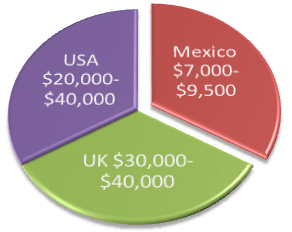 Upper/lower jaw or full mouth restoration in Tijuana, Mexico costs about 70% lower than the average US prices. 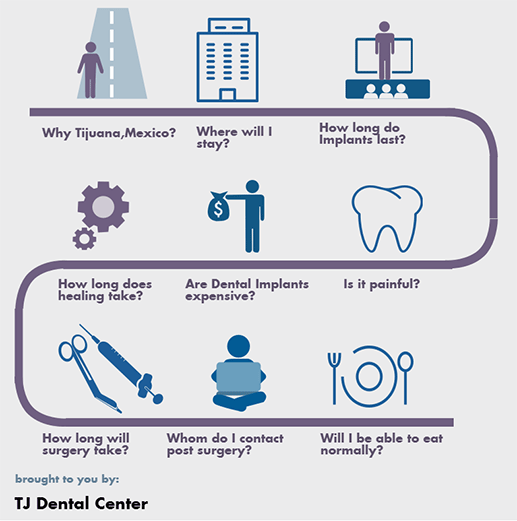 Why Us for All on 6 and 8 Implants in Tijuana? In addition to savings and affordable cost of complete arch restoration, we also provide a host of other services to ensure you have a comfortable stay during your dental trip. Your all-on-6 and all-on-8 dental implants surgery will be performed by our highly experienced dental implantologist in Tijuana - Dr. Esteban Ramirez, who has more than 20 year of experience. Also known as TJ, Tijuana is a major border city in Baja California, right across San Diego, CA. The Mexican border city can be conveniently reached from the San Diego airport (IATA: SAN) which is just about 20 minutes away. Alternatively, some individuals may also fly in to the Tijuana International Airport (IATA: TIJ)(however, this isn't preferred much because of inadequate connectivity). Individuals may also drive across the San Ysidro Port of Entry (operational 24/7) into TJ. Click here for more information on how to reach TJ. Treatment of Gum Disease: Any kind of gum disease should be treated before the surgery as it interferes with the healing process. If not treated at the correct time it may result in implant failure. Bone Quality: The more bone that is present at an implant site, the better is the possibility for implant success1. All-on-6 implant is a graftless solution for those who are edentulous and have some areas of low bone density in the jawbone. It is well-suited for patients with limited bone tissue since pressure is uniformly distributed between the points using just six dental implants. 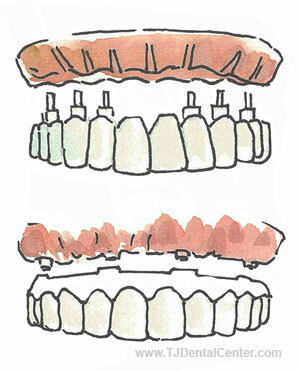 All on 6 implant system was developed by Dr. Paulo Malo in the 80’s. Since then it has undergone many changes and nowadays precision, careful planning and high surgical competence are required to perform the implant procedure. Graftless solution/jawbone preservation: When you lose a tooth it leaves a hole where the root of your tooth used to be. Consequently the bone around this area begins to disappear and may change the shape of your jaw. The American Academy of Implant Dentistry (AAID) states placing all on 6 dental implants in thos area prevents bone loss and helps to stimulate bone growth. High success rate: Various studies show that implants have a high success rate4. Increased self esteem: Dental Implants provide better functional results as compared to dentures which can become lose and slip in your mouth. Easy home care routine: Unlike bridges and dentures, which require special cleaning and extra attention, dental implants just need regular brushing and flossing. Durability: Implants can last really long if proper oral hygiene is maintained. All on 8 Implants comprise 8 implants in each mouth arch for those who have no teeth or have lost more than 80% of their natural teeth. It combines 8 implants with fixed dental bridges and crowns. How to ascertain if you’re a candidate for all-on-8 implants? The ideal candidate for this implant should have adequate bone in the jaw or else the implant can’t be positioned in the mouth. 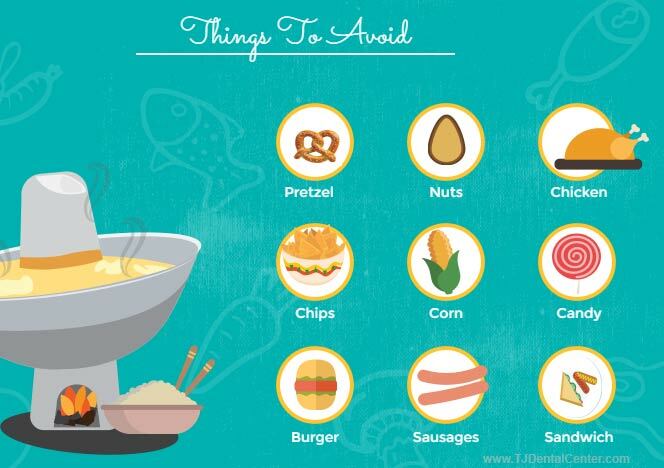 Medical Condition: Certain medical conditions such as diabetes, high blood pressure and other heart ailments require extra caution. During the consultation phase we recommend that you bring important health records along. Age: Age is not a constraint for receiving dental implants. Dental Implants are equally effective for older people. Full-arch maxillary rehabilitation fixed on 6 implants3 was proposed to a 53 year old woman resulting in successful placement of the implant. The replacement of teeth by implants (in children) is usually restricted to complete craniofacial growth. In boys the implant age is at least 17 years and in girls the implant age is at least 15 years old. Periodontal Disease: People who have damaged teeth due to gum disease often think that implants are not for them but by maintaining good oral hygiene, prevention of periodontal disease is possible. Bone Loss: People who loose teeth due to gum disease may have experienced some jawbone loss as well. With all on 6 implants, bone loss can be supplemented. According to the American Academy of Implant Dentistry nearly 70% of adults aged 35 to 44 years in the United States have at least one missing tooth due to an accident, tooth decay, gum disease, or dental fractures. 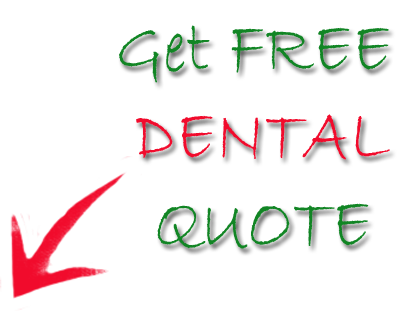 We also provide All-on-4 dental implants in Tijuana for just about $8,650. How successful is the procedure? 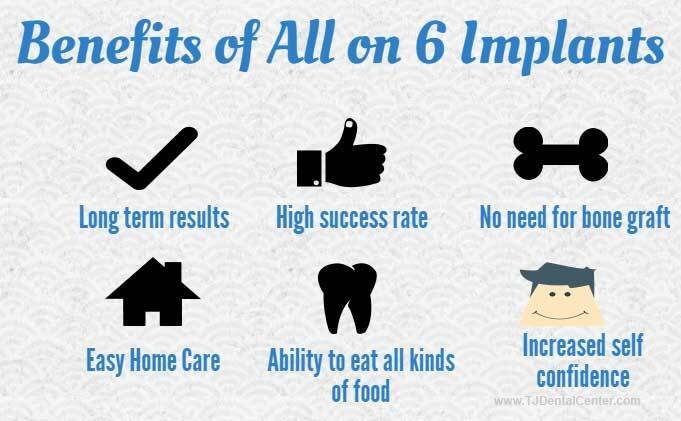 Studies suggest a success rate of 98% for dental implants. How long do implants last? Dental Implants can last a lifetime only if proper oral hygiene is maintained. Poorly cared implants may develop plaque and calculus which can lead to gum infection, bleeding and discomfort. Regular dental checkups and adequate home care influence how long will they last. How long does healing take? Healing may take up to 3-6 months. In general healing time for implant depends on quality of the patient’s bone. 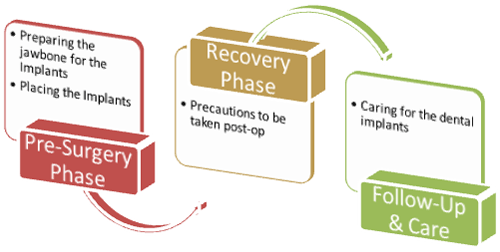 Initial few weeks are very important part of recovery process. 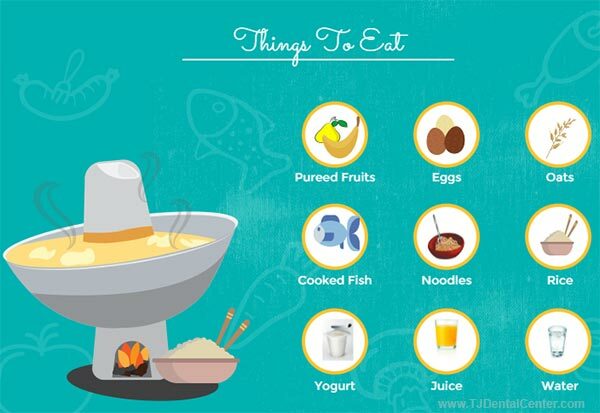 Eat soft diet, rinse with salt water and avoid touching the incision area to minimize the risk of infection. Are dental implants expensive? As compared to other countries, you can save almost 70% in Mexico. Is the procedure painful? The surgery involves implant to be placed in the bone accompanied by minor swelling and bruising. Anesthesia is given to the patient so that he does not feel the pain during the surgery. However, antibiotics and pain killers are given to ease the pain. How long will surgery take? The operation might take anything from 30 minutes for a single implant, to several hours for multiple implant placements. Whom do I contact post surgery? If you have any problem post surgery contact our center and we’ll make sure to get in touch with you as soon as possible. Our oral and maxillofacial surgeon in TJ is available on phone for follow-up. Will I be able to eat normally? Diet plays a crucial role in the recovery period. A liquid, pureed diet for the first two weeks and soft diet for another 3-8 weeks is recommended. A patient may be able to eat normally after the healing process is over. What about exercising and doing routine stuff? Limit your physical activity following surgery. You should be able to resume light activity in 2-3 weeks. Where will I stay? As mentioned earlier our full mouth restoration package includes 5 hotel nights. 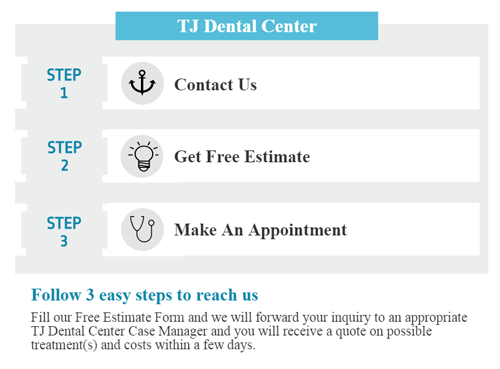 TJ Dental Center also offers free pick-up and hospital stay as part of the package. Local anesthesia is given to the patient thus numbing the area to place the titanium screws. A small hole is drilled in the jaw to hold the dental implant in place. Utmost care is taken not to damage the nerves and maintain facial aesthetics. The dental implants anchor themselves to the jawbone in the process called Osseointegration. It takes 3-6 months to anchor and heal the jawbone. The dentist completes the procedure by placing the abutment followed by a crown. TJ Dental Center gives you an option to have a mouthful of teeth with All on 8 and All on 6 dental implants in Tijuana, MX. The center has a skilled team of doctors and offers an array of services for a fulfilling dental experience. Fill in the quote-form on the right for more information on full arch restoration with All on 6 and All on 8 Dental Implants in Baja California. GARGARI, M., PRETE, V., PUJIA, A., & CERUSO, F. M. (2013). Full-arch maxillary rehabilitation fixed on 6 implants. Oral & Implantology, 6(1), 1–4.